Former Wales Under-20 centre Ben John has signed a new two-year contract with the Ospreys. 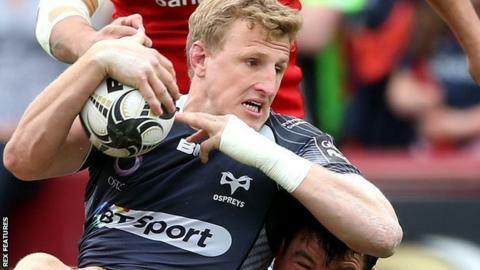 The 24-year-old, who is a product of Ospreys' development system, will now remain with the region until 2018. He has played 54 times for Ospreys, including 12 matches this term, having made his senior debut in February 2010. "This is my home so I wanted to stay and progress my rugby here," John said. "I just want to be out on the pitch in an Ospreys shirt as often as I can."